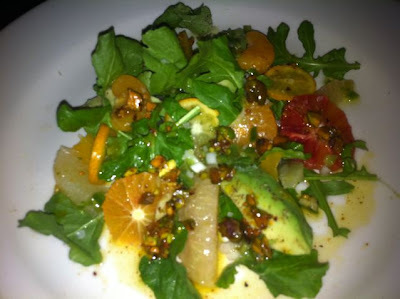 I accidentally left my new camera in the car before going into Lucques so my photos aren't so great. This is one of my favorite places in Los Angeles. 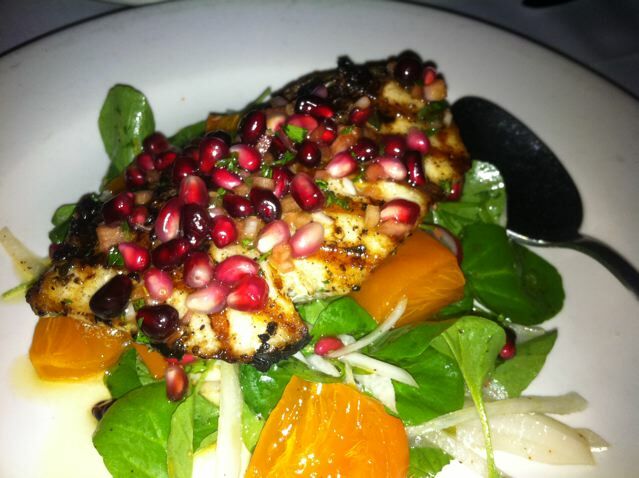 I had a citrus salad and striped bass with pomegranates. We talked about Columbian neckties and the hilarious and heart-breaking book Rodeo in Juliet.